Chrome OS is an operating system developed by Google to take advantage of cloud computing-- online storage and web applications. Currently, Chrome OS devices include Chromebooks from Samsung, Acer, and HP, as well as a Lenovo ThinkPad version for education and a premium Chromebook Pixel with a higher resolution display and higher price tag. Open-source and Linux based Chrome OS is based on Linux and is open source, meaning anyone can look under the hood to see the code underlying the operating system. Devices which run Chrome OS also have additional Google products and services built-in, such as automatic security updates and Google web apps like Google Docs, Google Music, and Gmail. 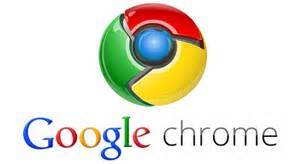 Features of Chrome OS Select hardware: Like Windows and Mac, Chrome OS is a complete computing environment. It ships on on hardware specifically designed for it from Google's manufacturing partners laptops called Chrome books and desktop PCs called Chrome-boxes. Although Chrome OS is mostly found on Chrome-boxes and Chrome books, because it's open-source, you could actually install the operating system on any x86-based PC or systems running the ARM processor, if you were so inclined. Cloud-centric: Besides the file manager and the Chrome browser, all of the applications that can run on Chrome OS are web-based. That is, you can't install proprietary desktop software such as Microsoft Office or Adobe Photoshop on Chrome OS because they're not web applications. Chrome OS has a minimalist design: apps and web pages are combined in a single dock. Because Chrome OS runs web apps primarily, it also has low hardware requirements and doesn't use up a lot of system resources. The system is designed to get you to the web as quickly and unobtrusively as possible. Included features: Integrated in Chrome OS are a basic file manager with Google Drive online storage integration, a media player, and Chrome Shell ("crosh") for command-line functions. Security built in: Google doesn't want you to have to think about malware, viruses, and security updates, so the OS automatically updates for you, performs system self-checks at startup, offers Guest Mode for friends and family to use your Chrome OS device without ruining it, and other security layers, such as verified boot. More Chrome OS Info Who should use Chrome OS: Chrome OS and the computers that run them are targeted towards people who work primarily on the web. Chrome devices aren't powerful, but they're lightweight and have long battery lives--perfect for travel, student use, or us road warriors. Many Web App Alternatives to Desktop Apps Available: The two biggest hindrances to Chrome OS are: It can't run proprietary, non-Web-based software and many web apps require an internet connection to work. Regarding the first issue, most things we need to do in a Windows- or Mac-based environment can be replicated online. Instead of using Photoshop, for example, you can use the built-in Chrome OS image editor or an online app like Pixlr. Similarly, instead of iTunes, you have Google Music, and instead of Microsoft Word, Google Docs You'll likely find an alternative to any type of desktop software in the Chrome Web Store, but it will mean adjusting your workflow. As for the second issue, it's true that you'll need an internet connection for most of the web apps you might install on Chrome OS (note that you'd need that internet connection for those web apps on any operating system). Some of the Chrome OS apps however, are built for offline use: Gmail, Google Calendar, and Google Docs, for example, so you can use them without Wi-Fi or wired internet access. Not all apps work offline, however, and Chrome OS definitely has its pros and cons. For many people, it's best as a secondary rather than primary system, but with more apps getting ported online, it could very well be a mainstream platform soon.